Day 6. Maximizing your Instagram Exposure. 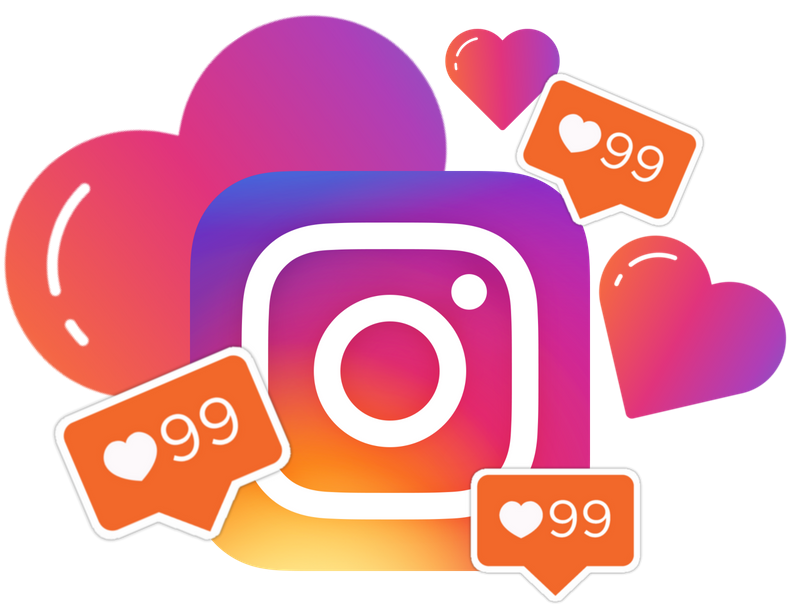 Once you have put in the work into creating a well-branded, high-quality Instagram profile and removed your ghost followers, you’ve created a perfect environment to nurture new followers. Now when you attain new followers, they’ll actually want to stay! Your account is now prepped and primed to achieve massive growth and attract thousands of new followers in your niche. Now we are left with an entirely new question, how do we bring those followers in to interact with our totally awesome new page? The answer is simple, but most people totally miss it. The answer is to reach out to potential new followers first- as opposed to waiting for them to come to you. That’s right. If you’re not going and tapping people on the shoulder virtually, saying HEY! I’m here! (not literally), then guess what, nobody is going to know you exist, no matter how much potential and quality content your page possesses. [Day 6/7] Maximizing your Instagram exposure. If you want to grow by hundreds of authentic followers per day, then that means you have to contact hundreds of new people per day. Like their pictures, follow them, send them direct messages. Get your profile engaging with people, and they will in turn engage with you. Instagram is a community, not a one way street. Once you know that you have to be active in reaching out first to garner attention, then you can formulate a strategy. To not just engage with anyone. You need to engage with your target market. If you have a photography page, you need to find a page like @nikonphotography, and interact with their followers. When you do, these people will be glad you reached out and will in turn follow you, getting lost in your awesome content for months to come. If you interact with random people, even if they decide to follow you, they will most likely become ghost followers as the chances of them being interested in your content is slim. When you only interact with groups of people within your niche, then you are operating on a level that allows growth. 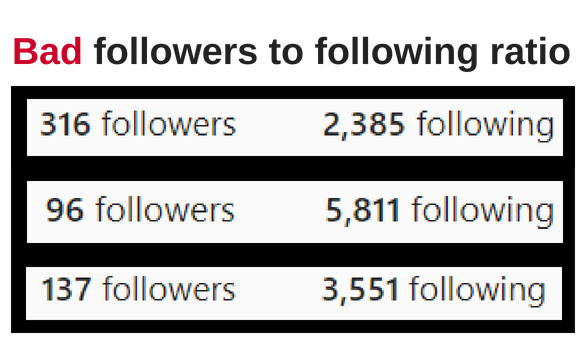 The follow/unfollow strategy is a simple strategy that involves following hundreds of people a day within your target market, them following you back, and then you unfollowing them later. The reason we have to unfollow is to keep a healthy follower to following ratio. Don't worry about the ethics of unfollowing people. If you provide good enough content, people will not unfollow you when you unfollow them. This is why being well branded and providing quality content, which was described in detail in emails 1-4, is essential to maximize your Instagram exposure. Besides, Instagram only allows you to follow 7,500 people, so when your goal is to become a large page, you can't follow everyone back anyway. People understand this. What you’ll want to do is follow up to 500 people within your target market, and later unfollow those same 500 people. When you do this repeatedly, you will never be following more than 500 people at a time. Every time you complete a cycle of 500 follows, you will permanently keep a percentage of those followers. So while you are constantly fluctuating between 1 and 500 followings, your follower count will be continuously going up. How high is up to you - your follower count will keep rising for as long as you decide to use this strategy. If you also comment on your target markets pictures, like their photos, and direct message them, you can quickly gain a large following. Follow/unfollow is the most proven and consistent way large pages have grown their accounts. But before you go crazy following/unfollowing people, consider the quality of your follow sources. Track the performance of your follow sources to decide if they could be the reason for slow growth. Some sources will provide better follow back rates than others. IF you are interacting with the followers of one large page, those people could respond completely differently from those followers from another large page. Different pages attract different audiences. For every 100 users you follow from one large page, 50 might follow you back. On the flip side, for every 100 people you follow from another large page, 10 could follow you back. Ideally you’ll want to track how well sources are performing. We found at that having at least 10 sources following back at 15% or more is ideal. You can manually track follow sources by using the same one for a week, and then analyzing its performance (how many new engaged followers, how many new ghost followers, how much of an increase in your likes and comments, etc). It’s important and worth the time to always be improving upon your follow sources over time. Doing so allows your growth to exponentially improve over time as well. At Engagement Genie, our system tracks multiple follow sources at a time which is extremely efficient, but we realize it may take some effort doing it manually one by one. If you do decide to do it on your own, have patience because the results will absolutely be worth it. Tracking the performance of your Instagram marketing is just as essential as creating the quality content for your page. Hence, making quality content is not worth your time if you won’t go deeper by engaging with the Instagram community in your niche and then analyzing your account’s performance. Quality content is not enough on its own, so challenge yourself, and really strategize your Instagram marketing to maximize your exposure as an influencer within your niche. There are of course more strategies for growth (running contests, paying for shoutouts, etc) but follow/unfollow is in our opinion the best, and best of all, it’s free if you do it yourself. Try this out and let us know how it works! As of now you know everything it takes to make an awesome page, and now you have an awesome strategy for getting your page seen. What’s stopping you from becoming an influencer now? We want to see you on the popular page! There is another strategy we secretly love, engagement groups. We will give you the scoop on those a bit later, but for now go ahead and play with the new strategies we’ve given you. We don’t want to overload you with too much at once.